Drug resistance, difficulty in specific targeting and self-renewal properties of cancer stem cells (CSCs) all contribute to cancer treatment failure and relapse. CSCs have been suggested as both the seeds of the primary cancer, and the roots of chemo- and radio-therapy resistance. 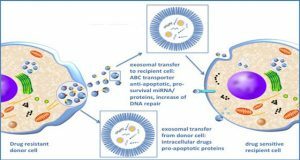 The ability to precisely deliver drugs to target CSCs is an urgent need for cancer therapy, with nanotechnology-based drug delivery system being one of the most promising tools to achieve this in the clinic. 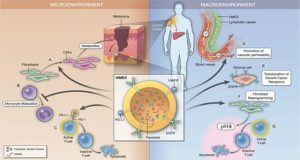 Exosomes are cell-derived natural nanometric vesicles that are widely distributed in body fluids and involved in multiple disease processes, including tumorigenesis. 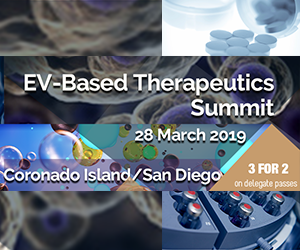 Exosome-based nanometric vehicles have a number of advantages: they are non-toxic, non-immunogenic, and can be engineered to have robust delivery capacity and targeting specificity. 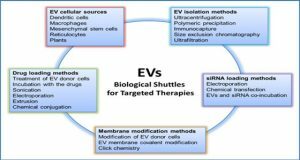 This enables exosomes as a powerful nanocarrier to deliver anti-cancer drugs and genes for CSC targeting therapy. 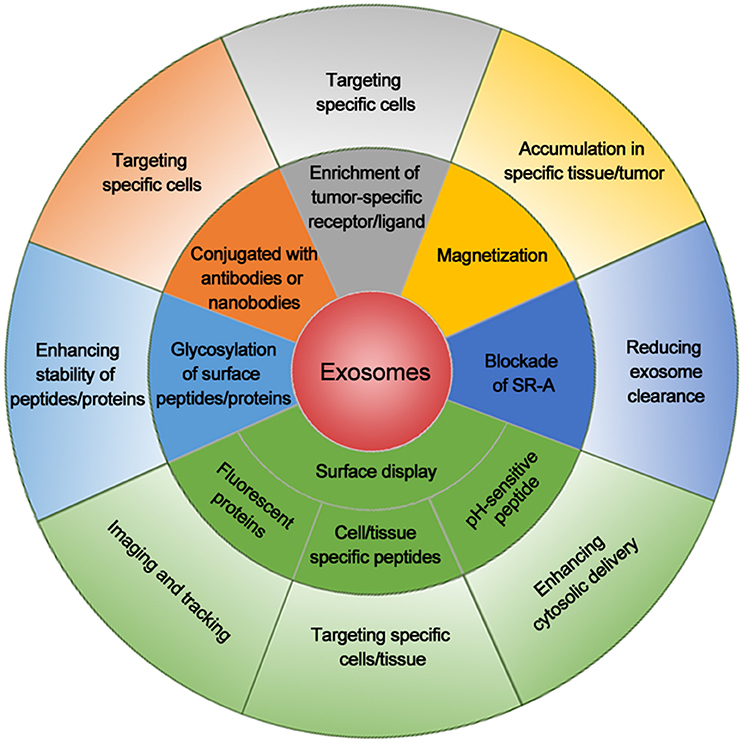 Here, the authors explore exosome-based delivery system in cancer therapy, with particular focus on several exosomal engineering approaches that have improved their efficiency and specificity for CSC targeting. 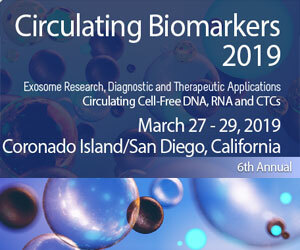 Exosomes with cell/tissue-specific peptides, tumor-specific receptors/ligands, or antibodies/nanobodies for tumor markers increase their specificity for cancer cell targeting. 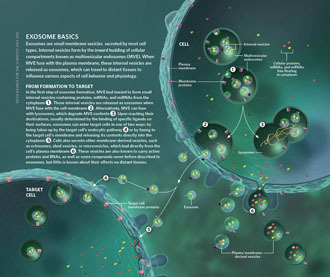 Exosomes displaying fluorescent protein or chemical on the surface are used for imaging or tracking. 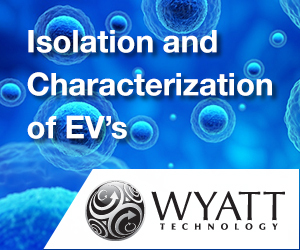 Magnetization of exosomes elevates their accumulation around the tumor. 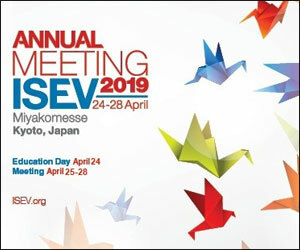 Blockade of scavenger receptor class A family (SR-A) reduces the clearance of exosomes by liver and increases exosome concentration in circulation and tumor. Exosome linked with pH-sensitive peptide enhances the cytosolic delivery. 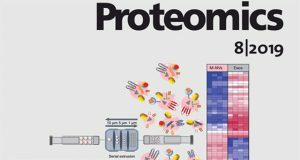 Glycosylation of peptides/proteins on exosome surface increases the stability of exosomes and thus enhances their delivery efficiency. 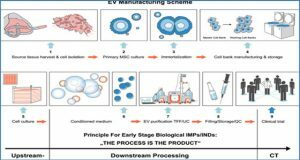 The combination of these methods will further enhance the delivery efficacy and specificity for cancer cell targeting.